Discussion and debate concerning the merits and demerits of proposed UN REDD (Reduced Emissions from Deforestation and Forest Degradation) and other avoided deforestation and reforestation schemes continues in the run-up to negotiating a successor to the Kyoto Protocol at the UNFCCC’s 15th Conference of Parties in Copenhagen this December. Touting the environmental and socioeconomic benefits of their particular sustainable forestry methods and organizational capabilities, various international investment/development groups have established and are promoting themselves. Looking to monetize the value of forested lands, the diverse range of ecosystem services they provide and the local community benefits they say can be realized, they are looking to national, regional and international carbon offset schemes and financial markets as a primary means of generating income and raising capital. 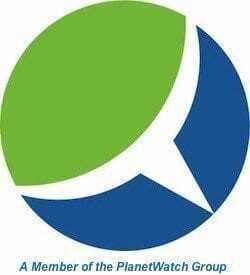 One such group is SFM, Sustainable Forestry Management. Stocked with international development and financial/commodity markets professionals, including Richard Sandor, the hugely successful derivatives trader and market expert who founded the Chicago Climate Exchange, SFM “was established in 1999 to demonstrate that attractive returns can be generated by investment in the world’s tropical and subtropical forests,” according to the company’s website. With operations spanning four continents, SFM is investing in afforestation and reforestation projects in some of the world’s largest and most sensitive remaining areas of primary tropical rain forest. “Investment in these areas can be structured to generate multiple revenue streams from avoided deforestation, sustainable forestry, reforestation, afforestation, biomass energy, bio-fuels conservation agriculture and ecotourism while maintaining and restoring their ecological integrity and providing sustainable livelihoods to local communities and indigenous people,” according to the company. SFM-BAM, SFM’s Peruvian arm, on August 11 announced that its Campo Verde Project in the Peruvian Amazon became the first commercial reforestation project planting native tree species to be validated under the Voluntary Carbon Standard for afforestation and reforestation and earn VCS’s Voluntary Carbon Unit offset credits. To date, SFM-BAM’s project has resulted in the planting of increasingly scarce native hardwood species, including mahogany and ebony, on 919 hectares (~2270 acres) of land in the Ucayali region on the western edge of the Amazonian Basin. When all is said and done, the group expects to have reforested a total of 18,900 ha (4,683 acres). The reforestation project plan stretches over a 30-year cycle and, with the inclusion of a 40% buffer, has earned an initial validation of 101,982 VCS credits, each one representing 1 metric ton equivalent of captured carbon. The project is also undergoing validation under the Carbon, Community and Biodiversity Standard. From a financial perspective, “this is ideal – the long-term value generated by timber revenues is complemented by the ability to treat carbon as a market-based commodity, the future value of which can be more readily monetized,” SFM-BAM CFO Richard Saettone stated. “The ancillary biodiversity and social benefits generated represent a new promise for sustainable development, in which private capital can be a force of change in rural areas” added Gonzalo Castro de la Mata, a Washington-based businessman and ecologist responsible for the investments made by SFM in the Campo Verde project. Some 86% of the Ucayali region, which spans 102,410 square kilometers, is said to still be covered in primary tropical rain forest, but Peruvians migrating from the Andes are clearing forests for farming and ranching. Despite their lush, verdant growth, the tropical forest soil is actually poor farming soil. With its Campo Verde project, SFM-BAM aims to establish better ways of harvesting the natural bounty of the region, one that works to the long-term benefit of the abundant life-sustaining natural resources of the region, local residents, and the myriad other forms of life that exist there today. “The project breaks the cycle of deforestation in the Amazon in which extraction of high-value timber is followed by changes in land use through conversion to cattle ranching and subsequent land abandonment. The project reverses this inexorable trend by recovering heavily degraded soil prior to plantation of a mix of native species of high commercial value, in a process that resembles natural forest succession, according to SFM-BAM. 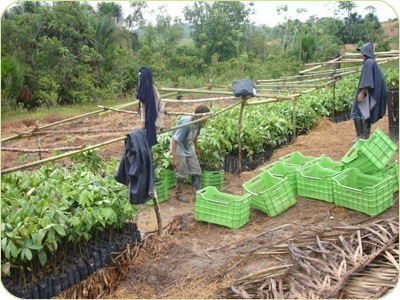 “We are very pleased to be the first native commercial reforestation project to be recognized for carbon sequestration. We want to expand this model of sustainable forestry to other areas in Peru and adjacent countries” said Peruvian entrepreneur Jorge Cantuarias, SFM-BAM’s chief executive officer and the driving force behind the Campo Verde project.